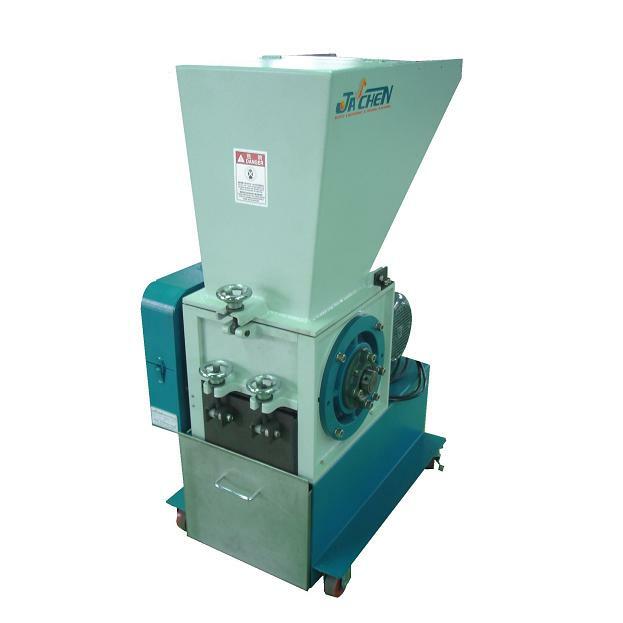 Plastic Shredder - Standard Grinder(JAA Series) - Sinchung(Jachen) Technology Co., Ltd.
Granulators are suitable for shredding and grinding of all kind of plastics and Rubber - drums, containers, Pipes, P.E.T. scrap, Bottles and Pre-forms, Pails, Jars, Plastic Chairs and Tables, Plastic pots and Pot holders, rubber pieces 100% steel free, ABS, PE, PVC, LDPE, HDPE, Polystyrene, Polypropylene, thermo-plastics with glass fillers, Plastic trays, plastic bins, plastic bags, plastic pallets, rubber mats, electronic waste - plates, main boards ... etc. The unloading hopper is rectangularity can and due to comprehensive employment such as auto loaders, circle storage barrel and bag etc., to exchange the necessary attachment. To surmount traditional angel design, effectively lowering the decibel value. Product gain equal size after crushing. 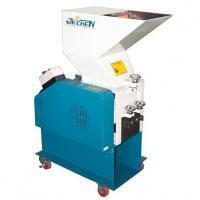 We can afford many models for granulated scrap and capacity and satisfied client` s requirement.